Kathleen McGuire is a former ballet dancer and a contributing writer to Dance Magazine. As a dancer Kathleen trained in the pre-professional divisions of Pittsburgh Ballet Theatre School and the San Francisco Ballet School, she also attended summer intensives at the School of American Ballet and Chautauqua. She earned a BA in writing from the University of Pittsburgh and began writing for Pointe in 2010. Kathleen is passionate about mental health issues that concern dancers. She is the founder of Minding the Gap - www.wearemindingthegap.org. With nearly 43,000 followers on Instagram, Elisabeth Beyer is a social media sensation. The 16-year-old Ellison Ballet student came in first place in the senior women's category at the Youth America Grand Prix's New York City Finals this year and has been medaling all over the ballet competition circuit since she was 11 years old. But despite the thousands of likes she gets on each post, she also receives criticism. "It happens a lot," says Beyer. "I get accused of being too skinny or being anorexic, and it just isn't true." The rise of social media has given dancers more visibility than ever before. The Pew Research Center reports that 71 percent of Americans 18 to 24 years old are on Instagram. And in ballet, which strives for the pinnacle of visual perfection in both execution and physicality, it can be deflating to see perfect penchés fill your feed on #whackedoutwednesday. But there are also great benefits for dancers connected on social media: Instagram can broaden your worldview and open up doors to opportunities you never imagined. The following five rules of Instagram will help you to focus on the positives and develop a healthy relationship with your favorite app. Photos like this typically garner Beyer between 3,000 to 7,000 likes on Instagram. Photo by Siggul/VAM, Courtesy Ellison Ballet. Dancers should remember that dietary choices are individualized, and not be swayed by trendy food pics. Getty Images. Got Goals? Here's How to Effectively Reach Them. Boston Ballet's Dawn Atkins in Balanchine's "Episodes." Photo by Rosalie O'Connor, Courtesy Boston Ballet. When Boston Ballet artist Dawn Atkins was a little girl, she set a goal: to be a principal dancer by age 21. 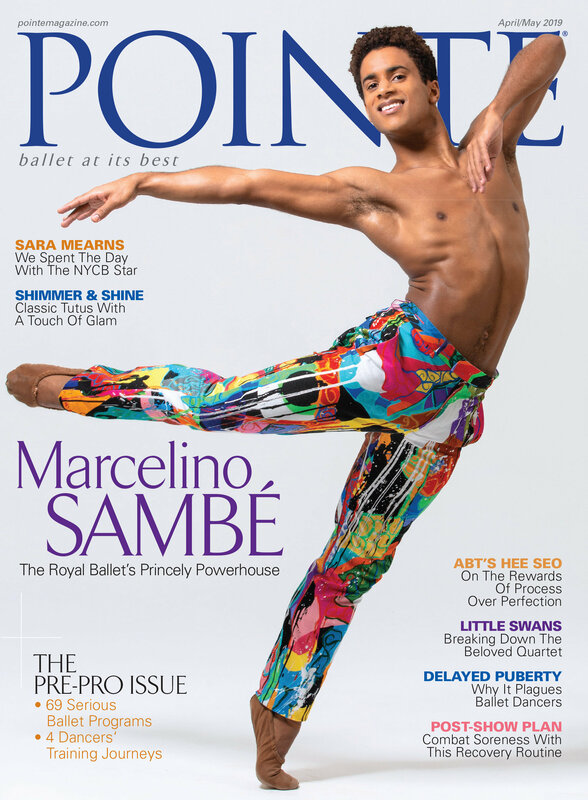 More specifically, a principal at New York City Ballet. Atkins was a successful student, joining Boston Ballet School's trainee program in 2011. She moved up to Boston Ballet II the following year and was given a company contract in 2013. But it was after knee surgery in 2015 that Atkins completely changed her approach to dance goals. "I had to set small ones, like being able to plié on one leg," she remembers. "I learned that I had to be kind to myself and celebrate those little goals." Goal setting can help you advance as a dancer and a person. But it's easy to overly focus on far-off accolades rather than on meaningful advancements that will take you to the next level. "One should aspire to have dreams, of course, but it is important to keep reality in perspective," advises Pittsburgh Ballet Theatre School co-director Dennis Marshall. Instead of tethering yourself to a dream that is ultimately out of your control, you can learn to set goals that will feed your dance career and your confidence. The summer I turned 16, my head swirled with "what ifs" as I counted down the days until the start of the Chautauqua intensive. I'd attended the program four years earlier, and the experience had been a harrowing one—my first lesson in the competitive nature of ballet. Leaving the temperate waters of my little pond, I'd found myself a very small, uncoordinated fish in a pool deep with talent. Now, I was going back to test myself again, this time in Chautauqua's top level. Would I be as good as the other dancers? Would the teachers like me? Would I make friends? Summer intensives are aptly titled. Their extreme demands can cause anxiety, nerves, jealousy and stress. But put down the question marks! Don't let a negative state of mind keep you from soaking up everything your summer has to offer.